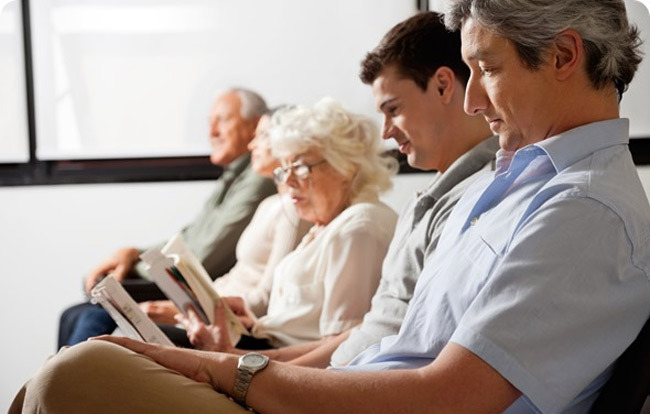 A study at Hospital for Special Surgery (HSS) finds that a support group addressing the psychological and educational needs of people recently diagnosed with rheumatoid arthritis (RA) has a strong positive impact on their lives. Ninety percent of participants indicated that as a result of the free group, they could make informed choices about their RA. The study findings were presented in the “Innovations in Rheumatologic Care” session at the American College of Rheumatology annual meeting on November 19 in Boston. The free monthly program is the only one of its kind in the New York metropolitan area. Led by a clinical social worker and a rheumatology nurse manager, the program is open to anyone diagnosed with RA within the past two years. The meetings feature a lecture on topics of interest to RA patients, followed by a support group aimed at enhancing emotional coping and disease management strategies. The program is also part of Hospital for Special Surgery’s Community Service Plan. The 20-item questionnaire uses multiple choice and open-ended questions to measure the program’s impact on patient-identified outcomes in each category. Support group participants received the questionnaire after each of 12 sessions between March 2013 and June 2014. Researchers compiled results based on 127 questionnaires they got back from participants. Ninety-three percent of respondents were female, with a mean age of 49 (age range was 25 to 85). Ninety-two percent of participants had attended college. In the questionnaire, respondents indicated how strongly they agreed or disagreed with statements related to managing their disease, coping, and connecting with others. Researchers noted several findings of interest. In the “Managing RA” category, 90 percent of participants indicated that as a result of the session, they could make informed choices about their RA, and 84 percent felt that they were more prepared to discuss their RA treatment with their doctor. In the category, “Connecting with Others,” 77 percent of participants indicated that speaking with other group members, they felt more hopeful about their RA, and 89 percent agreed that sharing information and feelings in the group helped them cope with RA. In the “Emotional Impact” category, 79 percent of respondents indicated that participating in the program made them feel more confident in managing their RA and 61 percent said their RA was less disruptive to their daily life than it had been previously. Overall, the evaluation results indicate that the program is making a strong positive impact, according to researchers. In the “Emotional Impact” category, “RA is less disruptive to my daily life,” researchers noted that the results reflect a positive impact, though not as marked as in the other questions. “Future work is needed to explore how patients define ‘disruptive’ to develop targeted content to address this for future groups. Additional research might also follow participants to determine how program participation over time and other variables affect this outcome,” Batterman said. “We believe our process can serve as a model for including the patient perspective in evaluating outcomes in other disease-specific support and education programs,” she added. The study done by Hospital for Special Surgery.